In Sprint 57, we completed the integration of all the third-party API solutions into the platform along with encryption for zipped archives. The development team also disabled the “add your wallet address feature” and managed to get through a number of other bug fixes within the platform. Everyone came to an agreement on who would take over responsibility for managing QA until a critical team member returned. The team also agreed on a date for pushing sprint code from Beta to QA environments. We still need to complete adding a selection for privacy to the drop-down in this section. Users can then adjust their privacy settings with fewer clicks. Users currently select a Moment, wait for the overlay to load, click the “More…” icon before finally getting to the privacy settings. 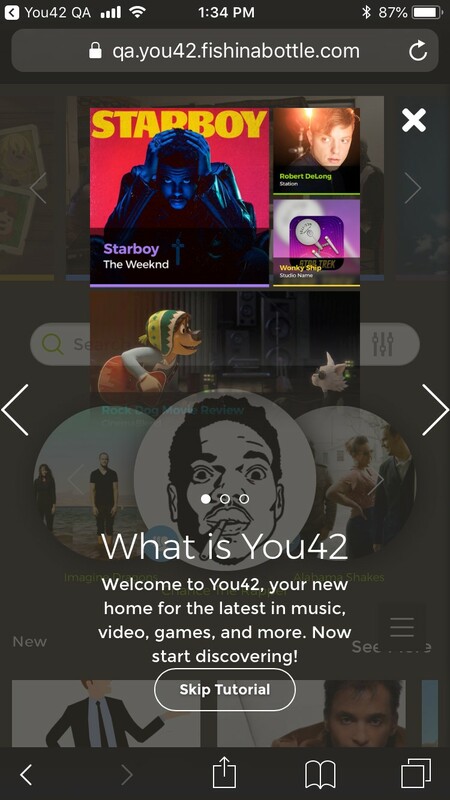 We’ve finished the implementation of all of these features into the You42 platform. It will become visible once we’ve put the test and production environments in place. The team received feedback on the release of the first version of our token contract. From there we moved straight to the “B” version. Our audited versions are completed with more tests currently running which should be completed shortly. That prompted us to add date deadlines to our release sequences. The development team’s making progress on getting this piece implemented. Ads are now visible from Socialfeed, putting us in a better position to address UI issues. The team made some changes to the Edit page in order to accommodate multiple values. We’ve limited URL strings to only internal You42 content. We’ve put contextual triggers in place capable of being modified to trigger specific carousels from any event. The team also succeeded in putting welcome onboarding, profile setup, and video upload in place. A decision needs to be made on whether we’ll pause audio during onboarding. There’s also a typo that needs correcting in the profile of this section. The wording should read “yourself” instead of “yoursefl”. The legibility of the graphics and type can be improved by increasing the transparency of the dark background. We should change the text size from .75 to .95 and increase the overall font size. The styling needs to be updated to match the original designs and prevent crucial information from bleeding off-screen. We can do that by adding padding above the “Skip” tutorial button, around arrow buttons to avoid hitting the edge, and adjust text rag so that the phrase “Don’t show me this again” is above the fold. A single click on an avatar fails to take users to their profile. It requires a double-click or page refresh. The auto slide should be removed from view when the user accesses the home page for the second time and during subsequent clicks. The number of viewable page items needs to be increased from 5 to 25. We also need to bundle and archive transactions in this section. We’ll be focusing on the Leveling System and Ads UI. The design team will continue refining designs and prepare for post-GoLive features.